With the recent upsurge in smart home technology and home automation, you may be wondering what all the fuss is about. Is this just a fad or is this the future of home living? Well, we firmly believe it’s the latter, and here are 5 reasons why home automation is here to stay! There’s no question that smart homes make life safer for all the family. With a smart home, you no longer need to panic if someone knocks on the door late at night – in fact, you don’t even have to get out of bed! 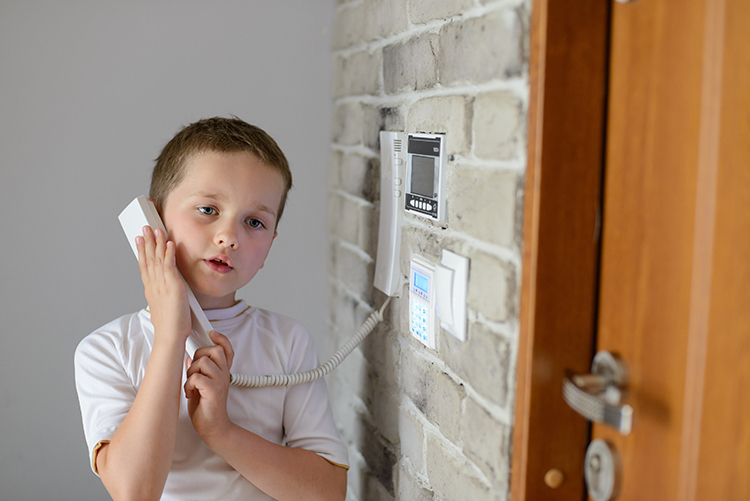 High definition video cameras and 2-way communications system allow you to see, speak and hear whoever’s at the door. This is particularly beneficial if someone is home alone, or the kids are looking after themselves for the evening. It may just be your neighbour returning that book he borrowed or the pizza delivery guy finally showing up, but if it’s a stranger, at least you know before you open the door. Security obviously goes hand-in-hand with safety, but the difference is you’re not at home. Home automation allows you to lock doors and windows, pull curtains and turn on lights - even when you’re not there! No matter where you are in the world, you can check on your home through your phone or tablet. You can even speak to people and pretend you’re home, dissuading any potential burglars. Motion sensor lights can illuminate anyone who shouldn’t be there, and when the sun goes down, house lights, garden lights, and security lights all know when to turn themselves on. With home automation, everything you need is at your fingertips. When was the last time you left the house without your phone? Never mind the house, when was the last time you left the room without your phone? As long as you have your phone with you, you can control your entire home. Forget to lock up? No problem. Delayed and not home until after dark? No need to worry, you’ve got your phone to turn on your lights. No need to ask the neighbours to look after your home, you’re in control. In addition to that, voice activated controls such as Amazon’s Echo or Google’s Home Assistant give you convenience we’ve only seen in Sci-fi movies. Simply ask for a song to be played and voila! Tell Alexa it’s time for a movie and she’ll turn on the TV, lower the lights and put on Netflix. Convenience takes on a whole new meaning with a smart home. If you can’t feel comfortable in your own home, then where can you? Home automation can help regulate the temperature of your house in a way that’s both timed to perfection and cost efficient. A smart home can maintain a constant temperature when needed, keeping everyone in the Goldilocks Zone. Or, if you like it a little bit hotter than the kids, they can set their own perfect temperatures in their rooms. A smart home can actually measure the temperature outside and in, adjusting the thermostat accordingly, or warm the house up 15 minutes before your alarm goes off. No one likes coming home late at night to a cold home, so turn the heating on remotely on your way home from your phone, giving you a nice, toasty living room to return to. When you opt for a smart home, you’ll notice the difference in your first utility bill. Appliances and devices are only in use when needed, including heating and lighting. Televisions, bedroom lights, heat pumps… all these things cost a surprising amount of money to run. When they are all automated, it cuts down overheads by a significant degree. Home automation doesn’t just save you money, but time as well. No more running through the house turning everything off. No time spent worrying about what was or wasn’t turned off. No having to rush home to check on the kids or pets. You can keep an eye on things through your phone! From saving time and money to protecting your home and family, the benefits of home automation are numerous. As the technology improves, becomes smaller and less expensive, a fully interactive smart home is now more affordable than ever. It’s only a matter of time before every home will be a smart home, so what are you waiting for? Get the ball rolling on your smart home and contact us today. Our friendly and experienced technicians will be happy to answer any questions you have about home automation, or book you in for a free home consultation. Once you join the smart home revolution, you’ll wonder how you ever did without it.